The Reason Why Left Handed Pitchers Have More Movement & How It’s Far From Natural! Do you really believe that left handed pitchers have natural movement? I think if you asked most coaches that same question, they would tell you yes. Ok, if that’s true, how is it possible and is it really natural? It’s because we see so many right handed pitchers and the left handed spin alters our perception. It’s because of the direction the Earth spins on it’s axis. Really? I know you’re looking to apply a “scientific” tag to your explanation, but c’mon. It’s because God’s left handed and He finds it humorous to add yet, another advantage over right handed pitchers. Uh, if that’s what you’re going with, you have more important issues than why a left hander has natural movement. Mass starts at 8 am, you might consider going. Personally, I’m convinced that left handed pitchers have more movement but it’s far from natural! Keep reading and you will learn why. Before we go any further, let’s take a look at some of the finer nuances of the game. There are around 3/1 right handed hitters to left handed hitters. Most hitters struggle with the fastball down and away. Pitching coaches are constantly stressing the importance of locating the fastball down and away. Because of this, 70-80% of all fastballs are called to located away from a right handed hitter. Ok, that’s obvious but what’s your point? Glad you asked. Left handed pitchers spend the majority of their time, focus and intent on throwing the fastball to their arm side, down. Because their coach tells them too. They experience success by locating the ball down and away from the hitter. The majority of all fastballs thrown just happen to be to their arm side. With the repetitive intent and focus of getting the ball down and away from right handed hitters, they begin to move the ball. Many times without ever knowing how in their early stages of development. If you’ve ever pitched, you realize that throwing the ball to your arm side is usually your best chance for movement. Here are some ways that make it possible to sink the ball and move it in the direction of your arm side. Dominant pressure from your pointing finger will move the ball to your arm side. Thumb positioning can enhance movement. Cheat the wrist in the direction you are trying to move the ball. There are countless ways to move the ball and each pitcher has his own unique way. The increased movement of a left handed pitcher’s fastball is a product of their intent and focus to throw the ball down and away from right handed hitters, plain and simple! The intent and focus never changes with these guys. It’s starts at an early age and continues to develop over the years because of the nuances of the game. It becomes easier for them to learn how to move the ball and makes for an easy transition to the change-up. Left handed pitchers experience early success with movement and change of speeds. That’s why you see more “crafty”left handed pitchers than right handed pitchers. The game doesn’t encourage arm-side movement for right handed pitchers. They spend the majority of their time facing same-sided hitters with the focus and intent on getting the ball to glove side (down/away). This is also the reason you see RHP’s having better sliders and left handed pitchers better change-ups. It’s also an explanation for the common differences you see in arm action between right handed and left handed pitchers, but that’s for another day. Left handers don’t have natural movement, it’s a product of their focus and intent! What’s your theory on why left handed pitchers have more movement? Do you agree with the points in this discussion? Why or why not? If you haven’t already, make sure and enter your email for bonus material. It’s FREE! P.S: Do me a favor and send a link to this article to others you know that will find it interesting. I just don’t agree that lefty’s have more movement. If anything I’d argue that being a southpaw alots them an extra season of two on the mound in organized ball. Hence all the old lefty’s hanging around getting the tag “crafty”. I’d also argue that lefty’s get more chances to become pitchers. Both of these factors actually dilute their talent pool. When I think in-out movement the first name that comes to mind is Joaquin Andujar. Remember how his stride favored the first base side? Arm-side movement as you described running in on righties. In 82 he benefited from a big park and a great D in STL, but he was tough. That was the first time I noticed the arm-side movement you described and started experimenting. The other name that comes to mind? Pedro. If you’re referring to pro ball, I would agree. However, at the lower levels, movement from lefty’s is more prevalent. No doubt, lefty’s get more chances. Absolutely! Also, guys like Andujar (great pull by the way) and Pedro are guys that could definitely move the ball. Throw in Maddux with that group as well. So much of that is their intent to move the ball, Maddux actually came into pro ball as a 93-95 mph guy and his intent changed over the years. Thanks for commenting! Good thoughts. Loved the article. I also took your advice with my son on experimenting with different ways to move the ball. I used minimal instruction and allowed him to determine his own cues and it was amazing, how much he figured out. Keep up the good work, by far the best baseball site on the planet! Interesting idea, and definitely the most reasonable theory I have heard so far, but I don’t know if I fully agree. It’s a strange phenomena, but it does tend to hold up: in general, righties throw harder, lefties get more movement. But my theory is that it has more to do with numbers. I’m sure we all agree left handed pitchers start valuable early since they will face so many more right handed batters. I’m also assuming we agree that at a certain level, it is easier to increase your ball movement than your pitch velocity. 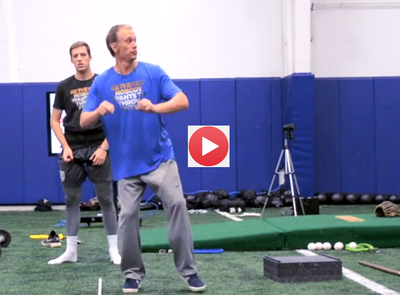 Since there are so many more right handed pitchers available, you are less likely to make the cut regardless of your movement if you aren’t throwing hard. A slower lefty on the other hand will be given a better shot, allowing time to develop his “dirt”. Of course there are exceptions to all of this but in general, to stand out as a righty, it helps if you throw hard. And I believe this is what has led to a trend of speedy right handers and dirty left handers. What do you think? Thanks for commenting, interesting ideas. I’m not sure if I would agree that mvment is easier to attain than velocity, I think it borders on the degree of movement or jump in velo. I would definitely agree that lefties get more opps, no question. I think you share many valid points and they are hard to disagree with. Numbers are obviously a crucial element to the theory. I have another thought on this. I’m 53, a lefty, still pitching, and my ball has always tailed. And so does the ball of most of the lefty’s that I play catch with, and many of them are not pitchers! The most my ball ever tailed was when I played softball, and I wasn’t pitching; and had virtually no coaching in the 70’s. So, I don’t think the concept is based upon pitching. I had an very interesting conversation with my Physical therapist. We talked about postural imbalance, which is a sub-set of Physical Therapy based upon the fact that our bodies are not exactly identical left to right; based somewhat on our internal organs being different left to right. He told me that our bodies tend to rotate better CW, (direction a righty would turn when winding up) than CCW. We have absolutely no proof, but we theorized that this could be a cause for lefty’s delivering a ball differently than righties. Very interesting theory! Thanks for taking the time to share….that’s got me thinking. Sir, have ever played the infield? Ever played 3b and take a long throw from a Left handed center or right fielder? Their ball tails to their arm side all day long Sir. Maybe because their wrist is cocked when they write they develop/strengthen different forearm and hand muscles? External factor is absolutely right. That’s the entire premise of the article. And to answer one of your questions in the previous comment, the reason righties don’t develop ‘cut’ movement or arm side as often, is due to their external influencers aren’t the same… Its why THEY CAN’T. Very good stuff. I am a former LHP and now pitching coach. I have thought a lot as to what the reasons are for certain left handed tendencies. I feel like in a sport that covets left handers there is a decent gap at the lower levels in terms of velocity. Consider that only roughly 10% of the worldwide population is left handed and almost 30% of pitchers in MLB are lefty and 43% of plate appearances were made my lefties. I have posited that LHPs are typically lower in velo due to there positional environment. Most lefties, pitcher or not are typically stuck at 1B or OF in little league where at times the hardest throw they have to make is ground ball to the 3rd baseman. If they’re in the outfield they’re usually tossing pop-ups to one another, while the best right handed athletes are making a significantly higher number of higher effort to max effort throws. Once a 1st baseman is done “warming up” which could be suspect to begin with, they could go an entire game without making a strong throw while their RH counterparts are making several per inning to 100+ per week more. Any thoughts? I coach a lefty in minor-league baseball (6-8 yearolds) and I have a four-year-old son Who is a lefty, both kids have significant movement on their balll when no other kid I see does. I obviously have a lot of experience with older kids having movement but the fact that I see it in such young kids tells me that there something else to it. I don’t have the answer but To me it Has to be scientific or mechanical from the get go. « How Well Does Your Slingshot Work?